On today’s show I speak with Jake Sanders, guitarist and band leader of The Cangelosi Cards. The Cards are an awesome New York based old-time jazz, swing, New Orleans music, blues, country band (that’s a mouthful, but they really range widely in their repertoire!). The Cards play all kinds of different gigs and have become very popular on the national swing dance scene. I became a big fan the first time I saw them, more than 2 years ago now and am very pleased to have Jake on the program. The band has built up their following the old fashioned way, word of mouth and face to face. Jake started out as a street musician and built up the band, which is now achieving considerable success, from there. He talks about the beginnings of the band, their evolution and all the gigs and tours they’ve done lately. Jake also discusses some of his own background as a guitarist and plays some records from a number of musical styles that have been influential to him, and I play some recordings that I made of the band live at Banjo Jim’s in Manhattan. The Cangelosi Cards frequently play my Down Home Live show at Banjo Jim’s, which happens the 2nd Saturday of every month, and they play at Banjo Jim’s regularly, every Monday night. Check ’em out! In the show I apologize for not having more recent live recordings of them. But I got one! So I just posted it. Check out this awesome live set by the Cards at my Banjo Jim’s show in Jan of 2009. The New Lost City Ramblers (John Cohen, Mike Seeger & Tom Paley) formed as a band in 1958, and this year marks their 50th anniversary. In fact, this interview, recorded on September 13th, 2008, was 50 years to the day after their first concert, held on September 13th, 1958 at a chapter hall of Carnegie Hall. On today’s show I speak with John Cohen and Tom Paley about their memories of the birth of the band, how it happened, how they met, began playing together, chose the name, got their sound, made recordings and started touring. John and Tom don’t remember it quite the same way, but some where in there lies the truth! Tom left the band in 1962 and moved to Europe where he still lives. 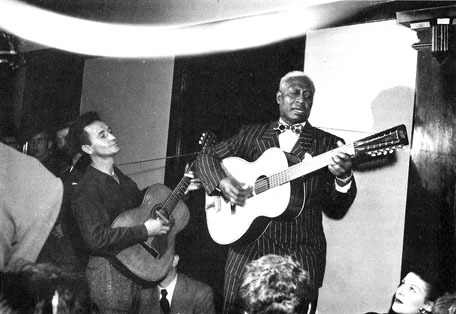 But he and John were both in New York where they played together at the “11th Annual Park Slope Bluegrass & Old-Time Jamboree” at the Society for Ethical Culture. I was able to catch up with them there and we sat in the basement and talked. The New Lost City Ramblers have been a tremendously influential band in the folk revival of the last 50 years as well as in the parallel revival of interest in old-time string band music. Their enthusiasm for and devotion to the old-time sound changed the debate in the folk music world of the 1950’s and 60’s and made musicians and listeners take a much deeper and nuanced listen to the rural sounds they were hearing on records. The NLCR made urban, non-traditionally schooled musicians approaching the material, aware of not the just songs, but the style and challenged them to grapple with that issue. This is still a serious question and one that is very relevant today. Continuing with Down Home Radio’s “Awesome Out of Print Records” series – On today’s show I play one record straight through. 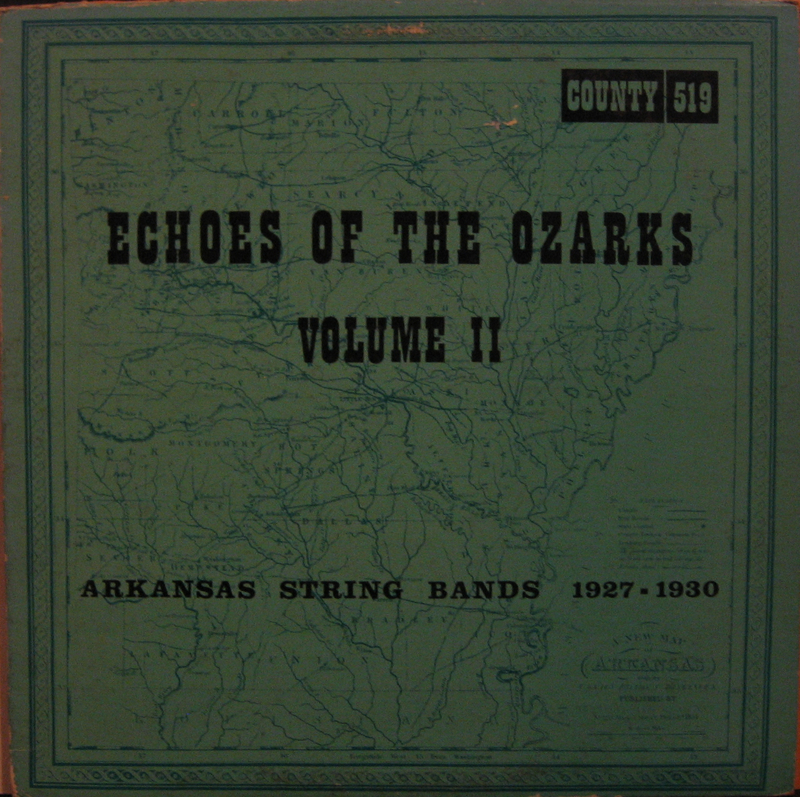 Its an old County Records LP I picked up called Echoes of the Ozarks Vol. 2, released in 1970. I really like this record, there is some great string band music on here. It was an unexpected treat. I got it somewhere for cheap, didn’t look at it closely at all, figured it would be only mildly interesting. Then I put it on and haven’t been able to stop listening since. I particularly love Reeves’ White County Ramblers use of the old fashioned pump organ in their sound. Apparently they usually used piano, but used the organ because that’s all they had at the recording studio. Glad they did! Its great. The record features: Reeves’ White County Ramblers, Luke Highnight’s Ozark Strutters, Dr. Smith’s Hoss Hair Pullers, A.E. Ward & His Plowboys, and Fiddlin’ Bob Larkan & Family. All great bands and hard to find. If anybody has volume 1, send it my way! This is an excellent compilation. CLICK HERE to download this record cut up into tracks. On today’s show I speak with Nathan Salsburg, curator of the new record label Twos & Fews. Their first release is entitled “I Want to Go Where Things are Beautiful” by the legendary Kentucky/West Virginia singer, coal miner and union activist Nimrod Workman, recorded by Mike Seeger. Nathan talks about the new record and new record label he has created as an imprint of the Chicago record company Drag City. He is also the production manager at the Alan Lomax Archive, he talks about his work there and plays some of his favorite finds from the archive’s vaults. Click here to order a copy of this excellent new CD! 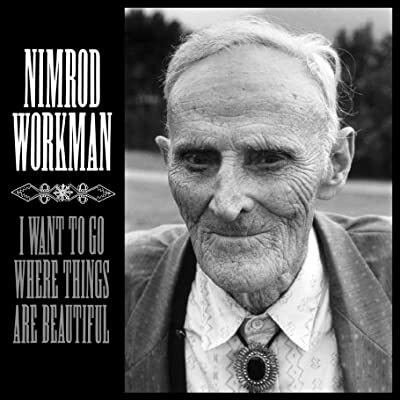 Check out the Nimrod Workman Feature Episode of DHR from May of ’07 to hear more of his recordings. On today’s show I speak with New York song writer John Houx. Originally from northern California, Houx has been in NYC for less than two years, but in that time has written a slew of excellent songs. In my view, John has developed a lyrical style and musical sense that allows him to deal directly and plainly with specific personal, social and political issues that he encounters, while maintaining in his songs a broader, general perspective. John plays live on the air, talks about his background and influences and plays some records that he likes. John Houx – Live at Banjo Jim’s May 24th, 2008 – which I recorded at my “Down Home Live” show that I host at Banjo Jim’s in Manhattan. The Jalopy Theater & School of Music (the gravitational center of Down Home Radio) was recently featured on the Brooklyn Independent Television channel. The show features interviews with owners Geoff and Lynette Wiley, with Roots n Ruckus host Feral Foster and with Eli Smith (me) as well as some excellent footage of the place. This is from an excellent cable show, featuring different neighborhoods in Brooklyn each week. We were included in the Redhook episode, Jalopy being located in the Redhook section of Brooklyn. Jalopy has lots of great live music on weekends and throughout the week, sells and repairs instruments and offers music classes. I teach the banjo class there. I recently received a request to post this fine album of banjo music drawn from the trove of material at the Library of Congress. This album of field recordings representing different pre-bluegrass banjo styles was put together by Bob Carlin and released on LP in 1988 by Rounder records. Amazingly it has not been reissued on CD. There is some seriously amazing and important music on here. www.timesaintliketheyusedtobe.blogspot.com did and that’s where I first got the record. Thanks! Be sure to check out their website for a scan of the back of the record so you can read the excellent notes by Alan Jabbour and Bob Carlin. There’s lots of great records available on “Time’s Ain’t Like They Used to Be”. Well worth checking regularly. CLICK HERE TO DOWNLOAD the record. 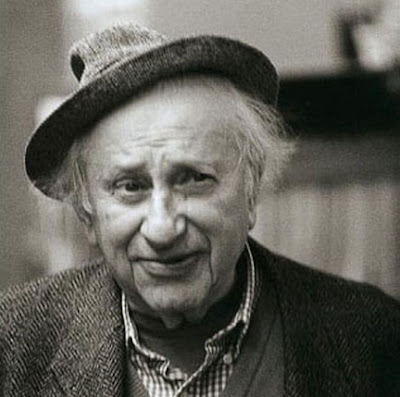 Studs Terkel, author, radio show host, actor and activist died on Friday at his home in Chicago at the age of 96. 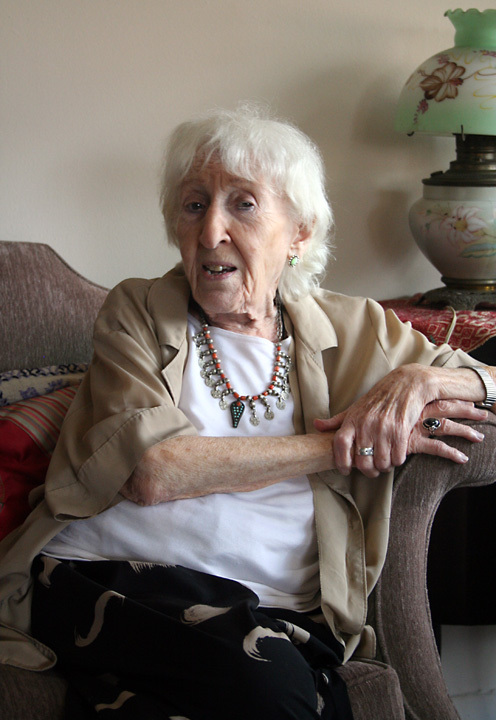 Terkel is perhaps best known for the amazing oral histories that he did with working class people. He published these in books such as his well known Hard Times: An Oral History of the Great Depression (1970) and Working: People Talk About What They Do All Day and How They Feel About What They Do (1974). He has said in interviews that he first got the feeling for what he would later do and received his first bit of education at Bug House Square, a famous free speech zone in Chicago. Terkel got his start in the world of media during the New Deal, working on various public works projects of the WPA. From that time he worked on radio soap operas, in stage plays, as a sportscaster and a disc jockey. In 1944 he started a radio program on WENR in Chicago called ” The Wax Museum” that allowed him to express his own personality and play recordings he liked from folk music, opera, jazz, or blues. Perhaps Studs invented “free form radio” back in 1944? Studs hosted a radio show on WFMT in Chicago from 1952-1997. On today’s show I air an interview he did in 1963 with Bob Dylan. He was truly a great interviewer! You can download this interview cut up into tracks Here.